JERUSALEM (Morning Star News) – Two Christian prisoners in Iran went on hunger strikes to protest increasingly harsh treatment of those arrested for house-church activities. Amin Afshar Naderi lost 10 kilograms (22 lbs.) after a 21-day hunger strike in Evin Prison that ended when he was released on $80,000 bail on Tuesday (July 25). Naderi, a convert from Islam, is serving a 15-year sentence for charges that include “acting against national security” and “insulting the sacred,” according to MEC. The 15 years may include time already served, according to the group. 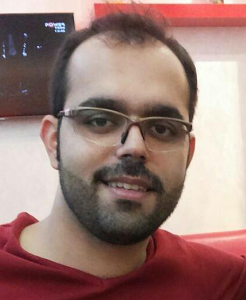 Shortly after Naderi went on the hunger strike, 30-year-old Ebrahim Firoozi declared a 10-day hunger strike on July 17 while serving a four-year sentence. “The government of Iran does not determine or confirm the Christian faith of people, and this matter is entirely within the jurisdiction of the Church,” Firoozi wrote in a letter to the Prosecutor General of Tehran the day before he started the strike. The sentences were handed down by Judge Ahmadzadeh, according to MEC. Christian converts from Islam in Iran may face charges of apostasy, even though such a charge is rare, according to MEC’s Cordman. In the last 10 years, advocates say, the government has put growing pressure on the country’s rapidly spreading Christian community. “It’s a testament to how harsh the Iranian regime is acting against Christians, specifically Christian converts, trying to destabilize the church and ruin and destroy the existence of the church,” Cordman said. All have filed appeals against their sentencing. “It has been a year now that I have tolerated all the insults from my inmates, the prison guards and you all, while I have not done anything wrong and have been deprived of basic needs. However, I have always prayed for you to be fair and just,” Naderi wrote, adding that he was hidden from international representatives when they visited the prison on July 5. Shortly after their hunger strike ended, the head of the attorney general’s office visited Evin Prison and, during the visit, promised to deal with their case promptly, according to CSW. It was not clear if the promise was made as a direct result of the hunger strike, Cordman said. Since Naderi’s recent release from prison, friends and family are praying and working on improving his deteriorated health, including weight loss and a blood pressure of 100/60, according to Mohabat News. “Internationally it pressures them to show front and face to the international world to say they are upholding religious rights and are allowing religious freedom,” she said. Firoozi was given a sentence of more than five years in January for “acting against national security through collusion and gathering,” according to CSW. 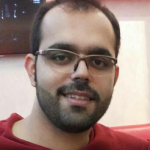 He had served 10-month sentence for “propaganda against the regime,” “insulting Islamic sacraments” and “acting against national security” and should have been released in January 2015. The 30-year-old’s physical and mental health has weakened in prison, according to Mohabat News, and he was not allowed to take leave to visit his sick mother. The men are carrying on the tradition of previous prisoners, including Maryam Naghash Zargaran, who was arrested in January 2013 in connection with her work with a former prisoner and also charged with “acting against national security,” according to CSW. On Aug. 1 she was released after serving her four-year term. In Christian support organization Open Doors’ list of countries where it is most difficult to be a Christian, Iran had a score of 85 out of 100 in the 2017 World Watch List, leaving it ranked eight out of 50. Various aid and rights groups affirm that the underground church is growing in Iran despite the crackdown. As many as 450,000 Iranians are worshipping Christ within Iran’s borders, according to Open Doors, and other organizations believe the figure could be as high as 1 million in the country of 80.3 million.